Damage reports continue to come in from the Wednesday and Thursdays storm that hit Cherry County along with western Nebraska. According to Cherry County Emergency Management Director Gary Weaver the 300 foot tall Cherry County Communications tower located South of Nenzel went down Wednesday night, presumably from ice and wind. That tower provides emergency communication for western Cherry County. Roads in Southern Cherry County especially have been hard hit with flooding and then covered with snow. It has been reported that county roads in the southeast part of the county are flooded and impassable and southwest Cherry County are covered with heavy snow. According to Cherry County Road Superintendent Doug Boyer from Mullen, The road between Elsmere and Purdum was washed out, Goose Creek Road between Elsmere and Highway 83 is under water in areas and there is water over the road between Purdum and Highway 83. Most all roads in Southern Cherry County are questionable or closed as of Friday morning. 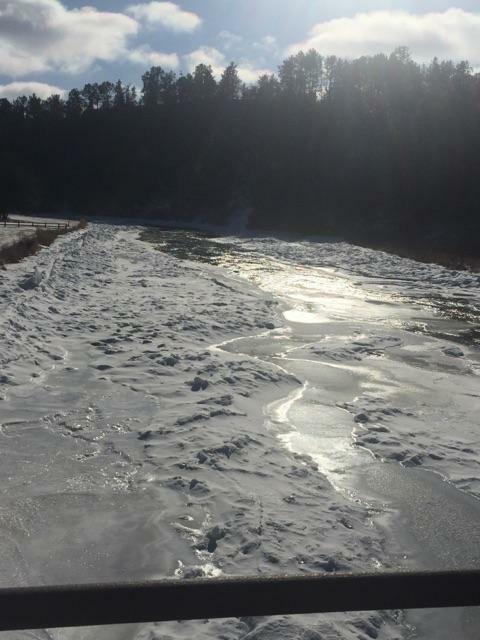 According to Region 24 Emergency Management Director Doug Fox there are 3 bridges on the Niobrara River that have washed out along with the Spencer Dam. The highway 281 bridge at Spencer is unusable due to about one quarter mile of approach on the south side being washed out. The bridge over the Niobrara River between Stuart and Naper has been washed out and the Red Bird Bridge South of Lynch has been compromised. There are other bridges along the Niobrara that have also been compromised. Fox told KVSH that they hope to get help for private individuals along with public in a disaster declaration. Mr. Fox went on to say that snow melt and runoff will continue to present problems for weeks to come. It’s reported that all or part of 21 Eastern Nebraska communities have been evacuated due to flooding while parts of the panhandle are still opening roads blown shut with snow.